Dr. Manju R. Kejriwal is pleased to announce openings with or without a referral for qualified gum disease treatment in Cincinnati, OH. As a compassionate dentist who strives to allay dental anxiety and offer effective care, Dr. Kejriwal has adopted the latest in laser gum disease treatment to gently restore patients’ oral health. Dr. Manju R. Kejriwal currently accepts new patients with gum disease in Cincinnati, OH for leading-edge care, whether or not they have a referral. Dr. Kejriwal offers state-of-the-art treatment through the latest advances in laser dentistry. Using the BIOLASE WaterLase® iPlus™ laser, she targets bacteria and damaged tissue without affecting the surrounding tissue. This technology virtually eliminates the pain and discomfort caused by invasive needles and scalpels, as well as minimizes recovery time. The goal of proper oral hygiene is to keep the teeth clean and infection and cavity free, but many may not realize that much of the damage caused by bacteria takes place below the gum line, where it is all but invisible. The buildup around the base of teeth extends below to the sensitive soft tissues around the roots, and as this plaque hardens, it irritates the gums and leads to infection. A person may not notice that this is happening until the redness and pain have spread and begun to cause real damage. If an individual seeks dental intervention in the early stage of the disease, known as gingivitis, oral surgery may not be necessary. However, those with moderate to severe gum disease in Cincinnati, OH, may need to have a qualified dentist treat infected tissues around the roots of teeth before healing can begin. While traditional treatments often require a dentist to cut the gums and pull them away from the roots in order to access the affected area, Dr. Kejriwal has adopted modern laser gum surgery so her patients do not have to endure the trauma that incisions and sutures cause to the surrounding healthy tissues. The BIOLASE WaterLase® iPlus™ laser has an ultra-fine tip that eliminates the need for cuts and sutures thus minimizing recovery time. The combination of water and a highly concentrated beam of light energy removes bacteria and promotes new bone growth so that gums are more likely to reattach to the roots, and the risk of gum recession is significantly lower. Those suffering from gum disease in Cincinnati, OH, can now visit Dr. Kejriwal’s practice website at http://www.mycincinnatismiles.com or call 513-914-4673 to learn more about the benefits of laser gum surgery, and schedule a personalized consultation. Dr. Manju R. Kejriwal offers leading dental care at her cutting-edge practice in Cincinnati, Ohio. 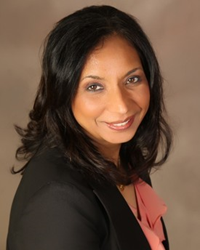 Dr. Kejriwal, named one of America’s Top Dentists by the American Research Council, makes her patients satisfaction and comfort her first priority. Dedicated to applying the latest advancements in dentistry, she frequently completes continuing education courses including those in aesthetics, comprehensive dental restorations and occlusion at the prestigious Hornbrook Institute. Offering dental implants, orthodontics, laser dentistry and cosmetic treatments, among other treatments, Dr. Kejriwal always strives to provide first-rate dentistry. To learn more about Dr. Kejriwal, the services she offers, or how quality dental care can be life-changing, visit http://www.mycincinnatismiles.com or call 513-914-4673 to schedule a personalized consultation.